Madara's soldiers march toward HQ, Toroi, one of hidden cloud's magnet-element bloodline limit users is attacking already. Two ninjas joint army is in pinch, but Naruto save them by defeating Toroi. 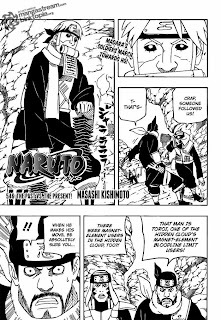 For Naruto, that's the first zombie enemy which was summoned by Kabuto and he just learning a way to defeating them. But of course, there are still others strong enemy like that one that he have to defeat. While in other place, Gaara and Oonoki squad armys have been stopped retreat and decided to fight four monstrous ninjas from the past, Four previous Kage except the Hokage. Gaara make the first move by launch buttload of sand, but his father stopped it with gold dust wave. But Gaara succesful to catch three of them and Oonoki have to face the escaped one which was the previous kage from his own village. 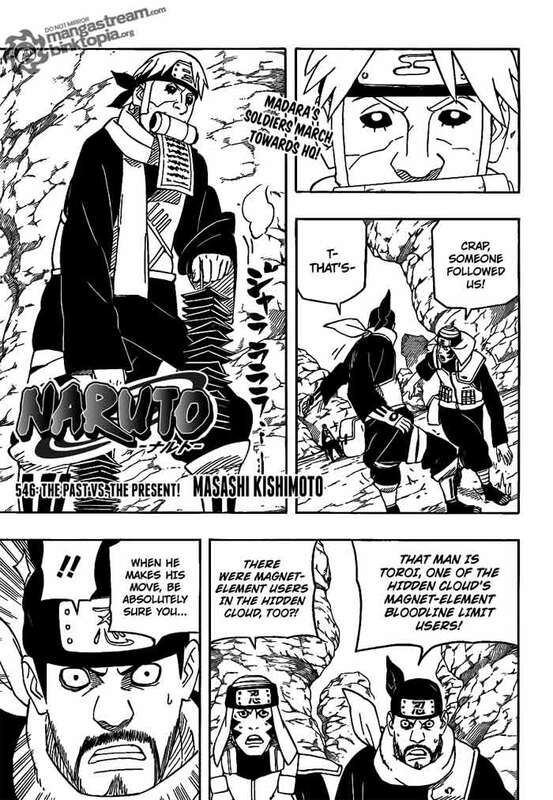 And their strong dust element jutsu clash each other. Both of side still observing opponent power. These are The Past vs. The Present, Gaara vs his father and Oonoki vs his master, the battle begins with full of boiling emotions.